and only 140k from Wanaka or 146k to Queenstown. While fruit growing, sheep and beef production are the main industries, Millers Flat is known for its recreational opportunities. The Clutha Gold Cycle Trail runs through the middle of the township and an excellent half way stop off point on the trail. 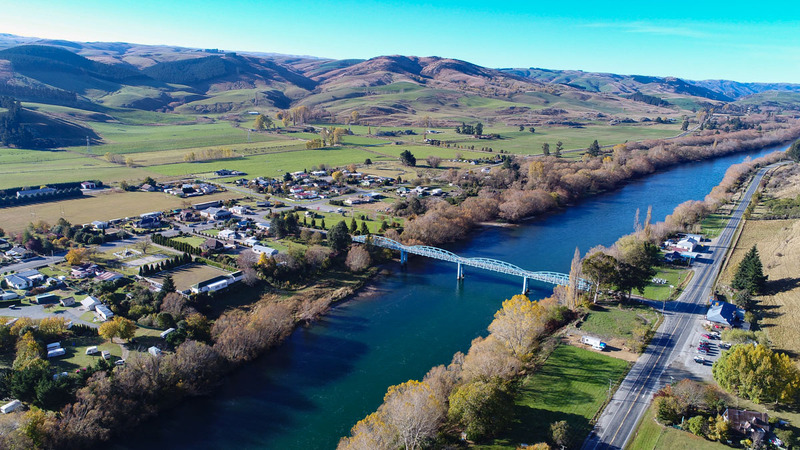 Millers Flat features great fishing locations, the heated swimming pool brings locals from far and wide, mountain bikers abound to conquer the hills, there are tennis courts, sports fields and picnic spots. It hosts an annual rodeo and the Central Otago cavalcade traverses its hills. Greatest of all are its warm and friendly people. They demonstrate what is the very best of the New Zealand character and psyche being resourceful, generous, friendly, caring and community-spirited. Once a year in April is the annual meet and greet event at the Millers Flat Hall. Bring a plate and meet the locals, such a great night. Volunteers man the Rural Fire Service, the community swimming pool, the community hall, the historic bakehouse restoration committee, the Millers Flat Water Company, the weekly news sheet Molyneaux Mail, and fund raise for so very many causes. Come and visit and bring your bikes, togs, fishing rods, tennis rackets, golf clubs, children and friends. Orchards are everywhere in and around Millers Flat.